With the entire world at our fingertips on the internet, it is completely possible to search for jobs on the other side of the world without even getting out of bed. 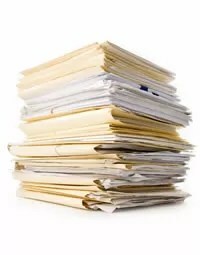 Long gone are the days of lugging piles of CVs from place to place or of scouring the newspapers for jobs that had probably already been filled by the time you got in touch. Now we are able to have immediate access to the most up to date job opportunities out there – perfect for looking for a TEFL position in any destination of your choosing. Before exploring any of the options laid out below, make sure you have an up to date and relevant CV, a working Skype account and email address, both of which don’t have inappropriate names (sexymama101 might not be as funny to a prospective employer as it is to your friends) or profile pictures. You may also be asked for scans of your degree certificate and transcript, your TEFL certificate and potentially a criminal record check. It helps to have all of these things already attached to a draft email so you are good to go without having to run around looking for a working scanner at the last minute. Be warned – some schools are notorious for posting ads and then never getting back to the applicant, filling the position in person with a friend of a friend – don’t be put off but be aware that you may not be flooded with responses! Persevere and over-apply – it’s always better to have a choice of job offers than becoming desperate and jumping into a position just because they said yes. TOP TIP” be aware of and look out for scams asking for the applicant to spend hundreds of dollars in made up administration/application fees, or dodgy looking positions for phony companies. If you know which destination(s) you are looking at, do a few searches for expat facebook groups in the area. These groups are not only useful for meeting other expats living in the area but will also be a good place to find local job adverts that you may not find on national websites. A few good groups for Thailand include Teachers in Thailand, English Teaching Thailand, Thailand Foreign English Teachers Network Group, and more locally Phuket Teachers and Friends (there are similar groups for locations across Thailand. More international groups include TEFL English Teachers Networking Group and ESL Teachers. There are countless more groups out there, these just happen to be the ones that I have ended up joining myself. TOP TIP: Just because you are using an informal platform for your job search, it doesn’t mean that you should treat it any differently to any other enquiry about a position. Don’t just comment on the post – a well worded private message with a forwarding email to enable you to continue the enquiry outside of facebook is better. REMEMBER! Potential employers can and do check out your facebook profile before considering hiring you – so either get those privacy settings on lock down or think hard before posting that picture of you doing shots on the bar on Saturday night. If you find yourself moving to your destination of choice and looking for work, consider working for a teaching agency. Yes, you should do your research first – ask around, try to speak to people who work for the agency to make sure that they are 100% legit (AKA can get you a visa and pay you a full salary). Agency work can range from being a substitute teacher to providing maternity cover or doing one off english camps. Many agencies are linked to a language school and so part-time evening and weekend work can become an option. It is definitely worth considering even just to make sure you have a bit of income while you look for a more permanent position of your own. Agency work issue of contention in the TEFL world; many, many people have had their fingers burned by agencies and so tar them all with the same brush. You will hear tales of non payment, or broken contracts or visa troubles. I myself was placed with an agency after completing my TEFL Heaven course and I continued to work with them for 18 months with no issues. If anything, working for an agency meant that I got to void some of the pitfalls of working directly for a school – I was less involved in school politics and I knew that someone had my back if the proverbial hit the fan. If I had to take a day off sick, all my classes would be covered by the agency. All of my visa and work permit paperwork was processed by the agency with no problem. I never had a problem with unpaid tax bills. Yes, that agency must have been making some money off me but I earned exactly the same amount as my colleagues who were working directly for the school. Maybe I was just lucky. TOP TIP: If you are looking at working in the south of Thailand (Hat Yai, Songkhla and around) and don’t mind working for an agency, go say hi to Visions and see if they can help you out. While I don’t recommend rocking up in person at every school in your chosen destination (unless you are prepared to do a lot of aimless wondering around looking for someone who can speak englishand has the time to help you), a little bit of research can go a long way. Search the internet and find the local schools. Get an email contact (preferably the HR department) and try your luck with an email including your CV. Yes, many of those emails will bounce back. Yes, many of those emails will go unanswered. But, you may just have some luck. I actually got my last job doing just this. I sent out over 20 emails to schools in Phuket and of that 20 I had 3 replies, all of which were the standard we will keep your CV on file. I didn’t have much hope. However, 2 of those schools did keep my CV on file and did in fact get in touch when a job position came up. Having already made the first contact I was already on the minds of the HR department and was told about the job before it had been put on job websites, putting me at an immediate advantage. TOP TIP: It’s not a good idea to send one blanket email to all 20 schools – they can easily see that your email is completely generic, and this makes it look like you aren’t putting much effort into your job search. Do a little bit of research and take the time to tailor each email that goes out. Sure, you can have the same main body but adding in those little details that show you have taken the time to actually think about the school you are contacting will make you stand out from all the other emails they get asking for jobs. It’s worth a shot! If you have already relocated and are frantically looking for a job, go and make friends with other teachers NOW. Not only will they be able to tell you which schools are best to be avoided, the teachers already on the ground will be the first to find out about job positions as soon as they come up and will be able to put in a good word for you. This is certainly the case in smaller communities where it really can be a matter of knowing the right person that will put your chances ahead of the rest.